For three Massachusetts General Hospital programs, a significant bequest from Celia Bertin Reich and her husband, Jerome Reich, continues to be transformative and inspirational. Spotlighting healthcare causes that touched them deeply, their gift has expanded education opportunities for nurses, bolstered access to HIV/AIDS care and helped to advance emerging therapies to treat depression. They lived in Boston and valued the care they had experienced and seen at Mass General. Activism was always part of Celia’s spirit. At the age of 20, she joined the French Resistance to fight Nazi occupation of her native France during World War II. Celia worked with British and American intelligence and the French government later honored her as an officer of its prestigious Legion of Honor. 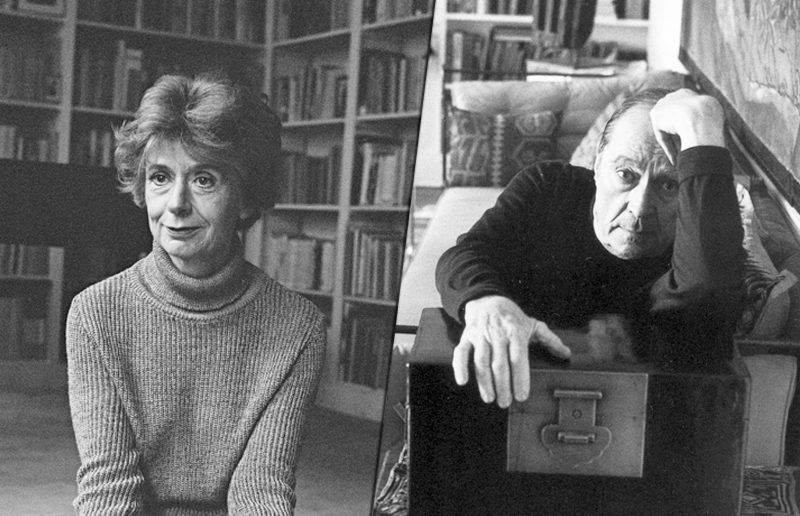 In the postwar French literary world, she gained acclaim as a novelist and biographer. Then, in 1972 she married Jerry, an outgoing intellectual and prominent industrial designer. They lived in Boston and valued the care they had experienced and seen at Mass General. In particular, they marveled at the nursing staff in action. After Jerry died in 2009, Celia decided nurses should be key beneficiaries of the philanthropic plans she began to forge. The result is an ongoing nursing fellowship in Jerry and Celia’s names. Under it, oncology nurses annually apply for two competitive awards to expand their knowledge, expertise and clinical practice. At an associated visiting scholar day, awardees share what they’ve learned with their peers. “The scope of this gift is tremendous,” says Debra Burke, RN, Mass General’s chief nurse and senior vice president for Patient Care. Debra Burke, RN, Mass General’s chief nurse and senior vice president for Patient Care, believes such learning opportunities will inspire more nurses to gain oncology certification and, thus, strengthen their expertise in the field. Having seen AIDS take the lives of several friends, Celia and Jerry also made related provisions in their bequest. Mass General’s Division of Infectious Diseases used their gift to establish a research, training and educational fund in HIV/AIDS. The fund will provide immediate support to investigators working on HIV research, allowing them to receive the training and education necessary to become the next-generation leaders in this field. Although HIV/AIDS may not spark the headlines it did in the 1980s, the current opioid epidemic has helped to keep the threat alive. And while medications to treat the disease have improved dramatically, access to them remains a huge challenge in many countries. “Only about half the people around the globe who need HIV meds are getting them,” says Rochelle Walensky, MD, MPH, chief of the Division of Infectious Diseases. That may help to explain why Jerry and Celia’s legacy gift provides the Mass General Department of Psychiatry freedom to explore novel treatments for depression. As a result, one researcher recently moved forward with a study of depressed patients for whom heated yoga is a part of their treatment. The blood tests and data collected may shed more light on depression’s origins and reveal unique treatment options. This year, another researcher used funds from the gift to develop a mobile app to monitor caregivers of older adults with dementia. Experts say such caregivers operate under tremendous stress and are, themselves, vulnerable to depression. Meanwhile, the bequest also funds the depression research of an endowed scholar. David Mischoulon, MD, PhD, director of Mass General’s Depression and Clinical Research Program, says such philanthropy will help researchers employ emerging technologies and revolutionary ideas to learn more about how depression begins. To learn more about how you can remember the hospital in your estate plan and create a legacy to advance medicine, please contact us.